The Emerald Dove: Are Class Distinctions Relevant In Modern Britain? Are Class Distinctions Relevant In Modern Britain? Growing up my dad would often tell me 'the rich get richer and the poor get poorer'. My dad always strongly identified as a working class man but nowadays identification by class doesn't seem to be such a talked about thing. That led me to wondering whether class is still as prevalent in our generation as that of our parents. As someone who does still identify as working class herself, I wanted to look into this more. It is fair to say that class was quite prominent in my childhood. I grew up living in council houses in various distinctly white, upper-class villages - people are often surprised that these places actually have council estates. It's like we've been brushed under the rug. Hidden away like the village's dirty secret. People have quite set ideas about the kind of people who live on council estates. They are usually lazy, depraved individuals whose very existence is a drain on public funds. I remember revealing to my first serious boyfriend (a rich, Oxbridge educated man from a well-to-do family) that I grew up on a council estate and his response was a mixture of shock and curiosity - the same kind of curiosity I can imagine people had for circus animals in the 1800s. It made me uncomfortable as he pushed me to give details of all my neighbours - he wanted to know the sorts of people who live in those kind of places. Skip forward to college when a local Lib Dem MP came to talk and everyone, of course, asked about the Lib Dems not upholding promises to ban uni tuition fees in the coalition. His argument was that working people's tax shouldn't fund further education as the kind of people who get into universities are those who can afford to fund themselves and not those of low income backgrounds. This presumption that people from low income backgrounds will never amount to anything had been in the back of my mind for most of my education because of the opinions put forward by the media and people like this MP. I guess as a working class woman studying at a Russell Group university, I must be something of an anomaly. But, despite my experiences in earlier life, class is something that I haven't heard discussed in the last few years in the UK. I believe that there is an optimism in this country that you can achieve through hard work and talent. Shows like X Factor are a perfect example. But I can't fight this feeling that class still plays a larger role than people care to admit. We watch programmes like Jeremy Kyle and Benefit Street which delight in the humiliation of working class people. They are presented as unintelligent and undesirable. Thereby the viewer, if they happen to be middle class, are able to affirm their own sense of civilised identity by using the working class as a basis for what they are not. Although this can be brushed off as being just entertainment, there's no denying the factor of class that is underlying here. In Britain, class is not discussed to a great extent because the majority aren't affected by it and we are able to work hard in order to live comfortably. But in a country governed by a majority that is educated in Eton and Oxbridge and were born into a world of trust funds and 'daddy, I want a pony', the 'class isn't a thing anymore' pill is difficult to swallow. Living in a country governed by those who are disconnected from a large portion of society is especially problematic. 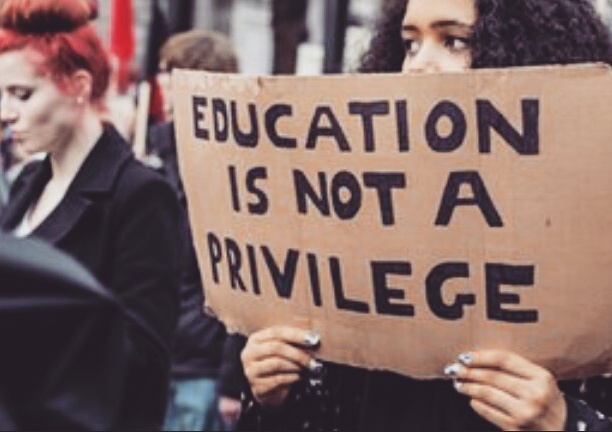 We have seen recently the cutting of student grants means that a large amount of young people feel like they wouldn't be able to afford university as their parents wouldn't be able to help them financially. In my own experience, I have found that having to have a job alongside my studies has affected my grades as I have less time to read the material and prepare for lectures. This all stems from the fact that I have to work in order to survive due to my family's lack of excess income unlike my middle and upper class counterparts. This can be seen throughout the education system. Children from low income families often don't eat breakfast or rely on a diet of cheap convenience food (as fresh food is expensive) which affects their ability to learn as their body and brain isn't getting the nourishment it needs which affects concentration and memory amongst other things. Clearly being born poor sets you at a disadvantage. I still believe that class is something that is underlying in our society and possibly the higher you move up the ladder (into better paid jobs) the more prominent these distinctions become. This is especially the case in Parliament and those in government jobs due to the high amount of upper class individuals. Although I remain optimistic that anyone can move out of the cycle of poverty through hard graft, class is something that sticks regardless of your wealth in this country. 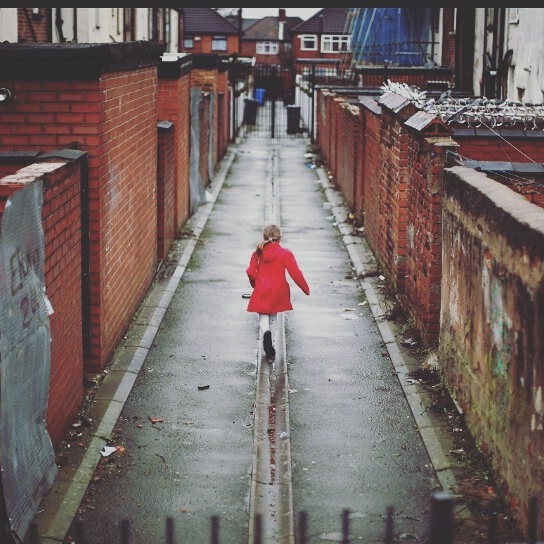 I will forever be that council estate kid and I am proud of it as it has instilled in me a real drive to work hard and succeed. But those thoughts of not belonging when I'm in certain environments - like posh restaurants - will probably never leave me. This shows that class is still a factor in the UK due to the internalisation of not being good enough by the working class because of what is perpetuated in the media. But we are out here working hard but those with money and connections are still able to jump to the top of the ladder. What are your opinions? Do you think class distinctions still exist in the UK? If you're from abroad, what's the role of class in your country? As an American (with ten minutes to spare) I can only truly speak on the phenomena of class from an American perspective. I’ll try my best to be relative and brief. To begin, the poverty line in America is about 12k and under for one person. The minimum wage is 16k a year. So by design, no working person should be living in poverty in America. Despite this fact, about 14 percent of the population, are still living in “legal” poverty. This is the lower class. The middle class then is defined by everyone in between that and that “upper class”. The upper class, based on our tax code, begins at 190k in a household, this is the dreaded “one percent” that everyone raves about, but before getting into all of that, “middle class” is pretty much everyone from about (to be generous) 40k to 180k per year (per household). People in America however, average right around 40k per year. This is taking into consideration the lowest person living in abject poverty and Bill Gates. So, with all this disparity, what makes up middle class? First and foremost, middle classness isn’t so much a dollar figure as it is a collection of decisions which are usually influenced by culture. In America, there is virtually no way for any child to go to sleep hungry at night, yet millions do. Why? What you call council houses in the UK, we call Project Tenements in the US. These “projects” as we refer to them, were not always the wastelands as they appear to be today. Up until about the 1970s, only “well-to-do” upper classes, mostly white, happened to live in these buildings. (See the movie The Apartment – 1960). Then in the 1970s a cultural migration sometimes referred to as “white flight” occurred and many of the white, upper and middle classes left these bustling areas for growing suburbs. So how could a place, that had once been thriving for decades, suddenly become places of squalor? The answer: choice. Being of any class is about the number of choices we make with our set of finances and financial capacity. Even if you’re making more income in America, you’re not rolling in the dough, as you’re taxed a huge percentage of it to give to others. Remember what I said earlier about the 190k? Let’s bring that figure back into perspective. A college educated couple, with decent jobs in the private or public sector, will easily make over 190k in a year, because they are in a higher tax bracket, they are taxed at 52% of their income. So now that 190 shrinks to 91k for the two of them to share, while the rest of their earnings go to lower class persons via programs. Despite this fact, these upper-class persons still manage to live very well. How? There are people, right now, living in those tenement buildings mentioned earlier who have high speed fiber optic internet, expensive clothing brands, Smart TVs with ultra 4k, laptops and iPhones, and no food in the refrigerator. They choose what quality of life they’d want to have in the form of trinkets as opposed to putting their money to better use. If the same person instead chooses to only read books, they’d find they’d have much more disposable income after the year was over. This would lead to better modes of transportation, better housing, (can’t say better education because at this level of income college is already free in America), better food, more fitness etc, all of which lead to a better life. This life then could be fostered and transferred to their offspring, and therefore break the cycle of poverty. It’s not so much of being a working man you’re forced to remain in such a state, but most working men want rich men spoils. A little side story and I promise I’m done. I’m going to insert a link here: http://www.drphil.com/shows/2384/. This woman here is an example of poor choices. First, she had several children by different men who would not marry her and therefore improve the quality of life for herself and her children. We CHOOSE our mates and this was her first mistake that she repeated several times. After the job interview situation which landed her with a criminal sentence (funny how she managed to find someone to watch her children while she was in jail, yet couldn’t find someone to watch them while she interviewed, again choice), she had a choice once again: follow the instructions of the judge, or be charged with a felony. The woman had just received hundreds of thousands of dollars in donations, several job offers, and not to mention loads of public sympathy. Despite all of this, she still chose to squander away her money, not take any job offers even as a starting point, and opt to defy the judge and was charged with a felony, ultimately hurting herself and her children. This is the typical person who complains of unfairness in America. They may not have as exemplified options, but the point is they DO have options, and choose wrong, no matter how glaring the choices may be. Patience, living within one’s means, and making proper choices, ultimately leads one out of poverty. The opposite will place someone into poverty, and despite leftist rhetoric to the contrary, the opportunities are ample and vast. I would argue that your focus is on income which, in the UK, isn't always the case with our class system. There could be upper class people not earning as much as a middle class person but they remain in these categories. The ideology here is that you are born into your class and you die that same class. Similar to castes. People like Jay Z in the UK would still be viewed as a working class man who struck it big. Of course it is a problematic system but that is the system. Say if Prince Harry got disinherited and had to work at McDonald's, he wouldn't suddenly be seen as working class. He'd be upper class/aristocracy who has fallen on hard times. It's a matter of classification of people that's existed for centuries here rather than financial status. Okay third try lucky, I've been meaning to read this since you posted it, I love the concept, it's beautifully written, and a very compelling read. I think you're spot on with the observations you've made and I'd love to see you write more posts like this that are intellectually stimulating and not just following the curve of blogging and doing lots of fluff pieces, these types of posts every once and a while are brilliant, and don't be discouraged from a lack of interaction with the post, it shouldn't stop you from writing what you want to write.